The Deflex Fugensysteme GmbH is one of the key global names when it comes to the production and sale of joint profiles. We are a medium-sized company with over half a century of experience in developing joint systems and sealings of all kinds, with optimal implementation and leveraging cutting-edge technology. Our company commenced as a construction industry supplier but subsequently decided to focus on the field of joint systems. From that time onwards, we have continued to develop an innovative range of all-metal, metal and Nitriflex units on an ongoing basis, and specialising in individually customised projects along the way. The goal we set ourselves is to optimally meet specific customer requirements. We support you throughout the entire project phase, starting with comprehensive technical consulting and development up to the end product. Moreover, we also offer product training sessions, seminars and installation instructions. We keep our company structure flexible, to ensure our work approach is customer-centric at all times. 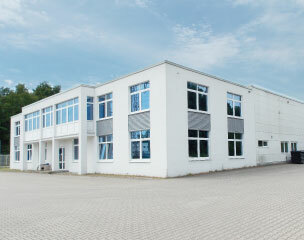 We have production facilities throughout the whole of Germany. Thanks to the globally oriented nature of our sales office, we remain close to our customers through innovative solutions, which allows us to respond to any regional and country-specific issues flexibly, effectively and quickly! Together with our partners from BESAGROUP, look no further than us as the key firm for all requirements in this specialist area.